Congratulations to Professor Bradley Chmelka who has been inducted into The Royal Swedish Academy of Engineering Sciences (IVA). 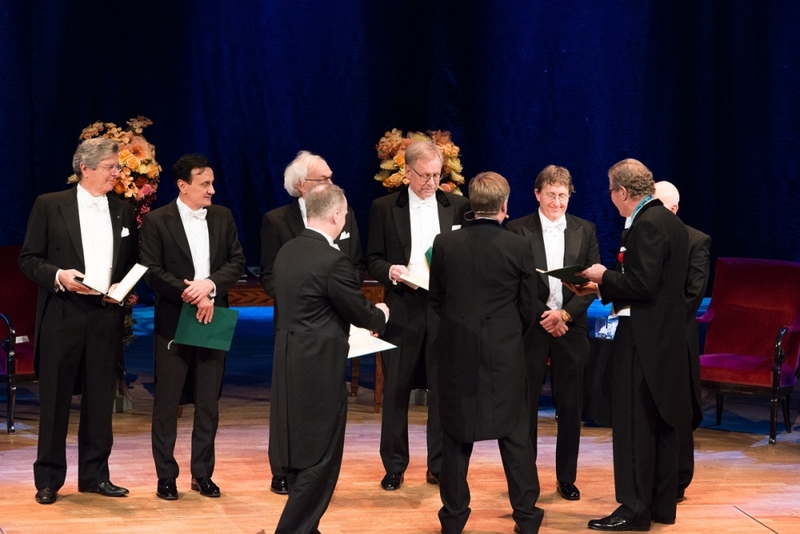 Professor Chmelka was on hand in Stockholm, Sweden, on October 27, 2017, at the 98th Annual Meeting of the IVA, held at Konserthuset Stockholm (The Stockholm Concert Hall), where he received his Membership diploma as an International Fellow from Chairman Leif Johansson. 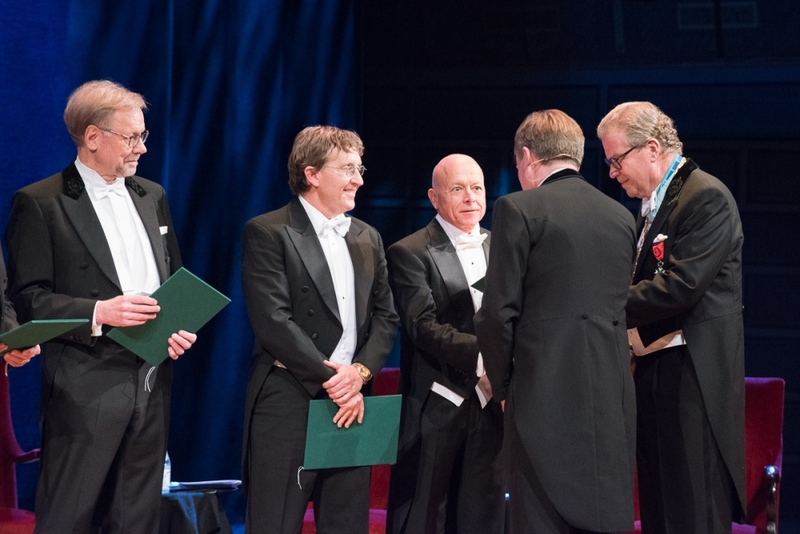 The IVA's mission is “to promote the engineering and economic sciences and the advancement of business and industry for the benefit of society,” in Sweden and internationally. It was founded in 1919, as the world’s first engineering academy and has approximately an equal number of members from academia and industry. The IVA has a current membership of 1300, of which approximately 40 are from the United States, and Professor Chmelka is the only current member from a University of California (UC) campus. A foreign member may be appointed who has made outstanding efforts in the field of the Academy's activities and has shown particular interest in developing contacts with Swedish research and the Swedish business community. Election to IVA extends Professor Chmelka’s already-substantial Swedish ties. 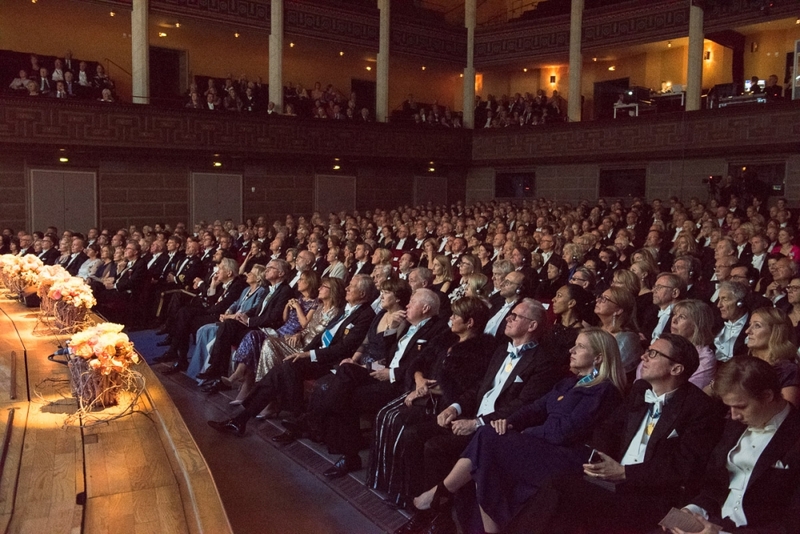 In 2013, he received an honorary doctoral degree from Chalmers University of Technology in Gothenburg, where his research collaborations have led to regular research exchanges among UC Santa Barbara and Chalmers students and faculty. 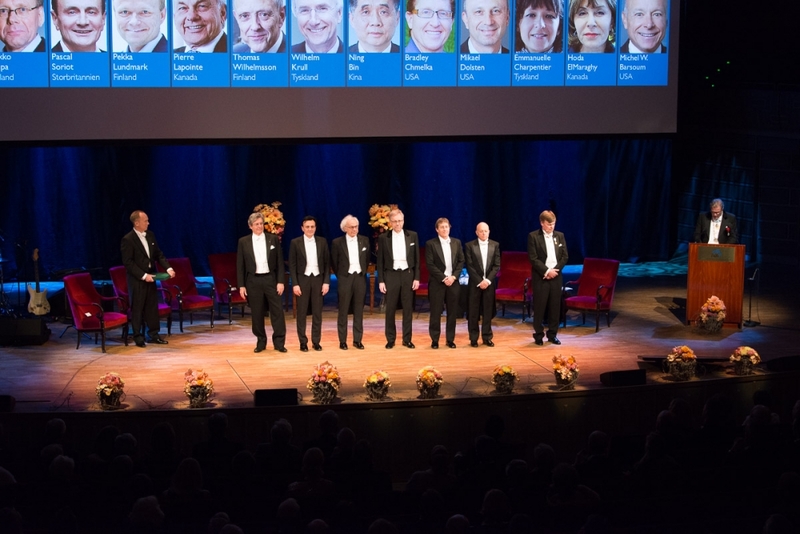 Since 2012, he has served on the Scientific Advisory Board of AkzoNobel’s Performance Chemicals Division, and in 2015, he was elected as a foreign member of the Royal Swedish Academy of Sciences. He has strong scientific contacts in Gothenburg, Stockholm, and Lund. “I’m very appreciative of this honor, particularly because it reflects positively on the impact that our atomic-level approach to engineering is having on the development and improvement of material properties for diverse energy and environmental applications,” said Professor Chmelka. “I am grateful to the IVA for recognizing our research, which crosses traditional disciplinary boundaries between engineering and the sciences. Professor Chmelka and his research group work at the boundaries of chemical engineering, materials science, physical chemistry, and applied physics, with the goal of understanding, at an atomic-level, the properties of complicated engineering materials and processes to improve them. Such materials include heterogeneous catalysts for hydrocarbon conversion, chemical production, and automotive pollution reduction; structural materials for high-performance cements that have low carbon footprints; and new mesostructured materials for fuel cells, solar cells, and semiconductor devices. Photos courtesy IVA, and Vinger Elliot Fotografi. Election posted 6/22/17. Induction updated 11/17/17.